DAYTONA BEACH, Fla. (March 7, 2019) – American Flat Track has named Indian Motorcycle of Lexington the entitlement partner of its ninth round – the Indian Motorcycle of Lexington Red Mile – to be held on June 1 at the famed Red Mile racing circuit in Lexington, KY. Deep in the heart of horse country, The Red Mile facility, which has hosted equestrian racing for 140 years, is fast, wide and offers plenty of traction, which always results in exciting, bar-bangin’ action. This year’s event is expected to produce even better racing action – for the first time in 20 years, the track is being completely stripped and resurfaced. To kick off an exciting race week, Indian Motorcycle of Lexington will host a pre-race party featuring demo rides, live entertainment and appearances by the Factory Indian Motorcycle race team. Food will be provided as the dealership will be holding a “Hog Roast” in conjunction with Bayou Bluegrass Catering. For more information on the Friday night festivities, please visit www.indianmotorcyclelexington.com. 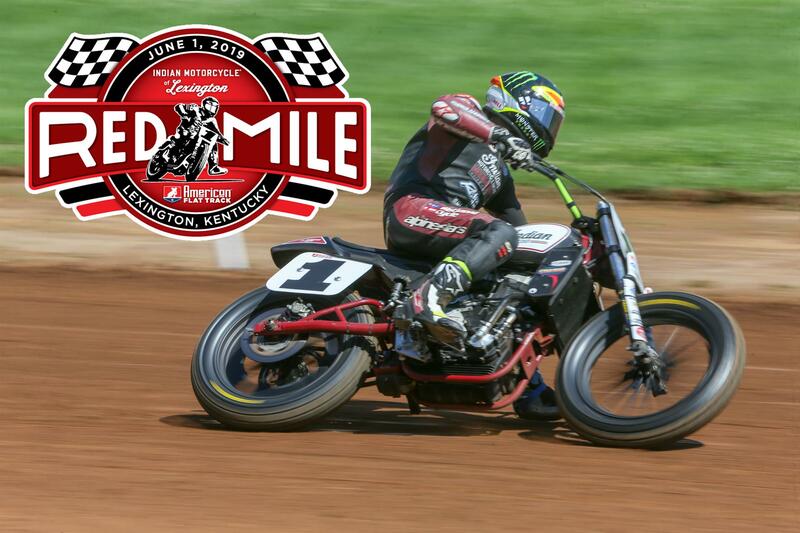 Indian Motorcycle of Lexington will also host an escorted ride to the event on June 1 beginning at the dealership and ending at the Red Mile racing complex. American Flat Track will kick off its highly-anticipated 2019 season with the Bigger, Better, and Faster DAYTONA TT presented by Russ Brown Motorcycle Attorneys under the lights of the Daytona International Speedway on Thursday, March 14, 2019. Tickets start at just $35 online ($45 at the gate) and are available for purchase now at www.americanflattrack.com. Indian Motorcycle of Lexington is the premier Indian Motorcycle and Royal Enfield motorcycle dealership for central Kentucky. Staffed with friendly and passionate professionals, Indian Motorcycle of Lexington offers departments in sales, service, and parts, including apparel, accessories, and luggage. Indian Motorcycle of Lexington is conveniently located just off I-75 and of Man O’ War Boulevard in the Hamburg Area and is proud to serve all motorcycle enthusiasts in and around Fayette County. Next → Next post: 2019 MXGP/MX2: Facts, Figures, Changes, what does it all mean?